Discover how to capture the best moments of your dive. So your photos turn out even better than you hoped. Underwater photography is one of the most popular diving specialties. And with so many underwater cameras to choose from, it’s become easier and more fun than ever to capture images and memories of your fun, underwater scuba adventures. The PADI Digital Underwater Photographer course at The Dive Bus will get you going with you underwater photography – whether you use a point-and-shoot camera or a sophisticated dSLR like the pros. Not only is this course fun, the PADI Digital Underwater Photographer course counts as one of the five Specialties for your PADI Master Scuba Diver rating and counts towards your PADI Advanced Open Water certification at The Dive Bus. To avoid accidentally damaging the fragile coral reefs while taking your award-winning photos, we strongly recommend that you’re a PADI Peak Performancy Specialty Diver, first. Duration: Training dives: 2 (1) - Days: 1 (0.5). This web-based system guides you through the principles of great underwater photography, with a bonus section on underwater imaging (including video). Study at your own pace through an easy-to-use, interactive program. You also have access to an online version of the Digital Underwater Photographer Manual for 12 months, so if you'd like the regular paper version for future reference, you're welcome to buy one here at The Dive Bus. Swing by The Dive Bus as soon as you get to sunny Curacao to collect your PADI Digital Underwater Photographer Manual. This is included in the price of your course (unless you go for the eLearning option). 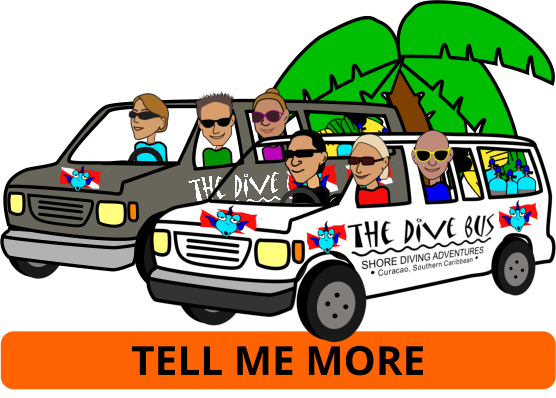 Whichever option you choose, your Dive Bus instructor will review everything with you to ensure you're comfortable and ready to go scuba divin'! As a PADI Graduate, don't forget to ask your Instructor about your discount on brand new dive equipment, available in the Dive Bus retail shop. You'll need to have your own digital underwater camera and computer or other device, for downloading and viewing your images. Your Dive Bus instructor will be happy to show you other equipment to make your photography easier or more fun, in the Dive Bus retail shop.